These turned out so cute, Lisa. Love the upcycling! The calendar card worked perfectly. Super cute. this is just PERFECT!! love everything about this! These are soooooooooooo cute!! I love love love how you used the cupcake toppers!! Great idea! darling cards, Lisa!! No Irish here even forgot to wear green LOL!!! Wonderful cards! 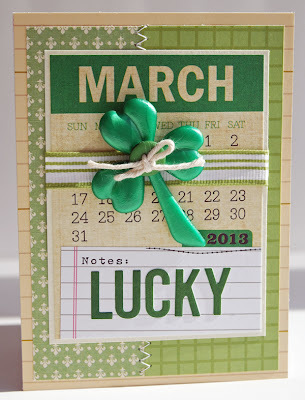 Love how you dressed up the calendar card! We didn't do much to celebrate. My daughter and I sat down and did a few little toddler friendly St. Patty's day crafts. Great cards! I love how you incorporated the Elle's Studio stuff on the first one, and I love the circles on the second. ooo they are awesome! 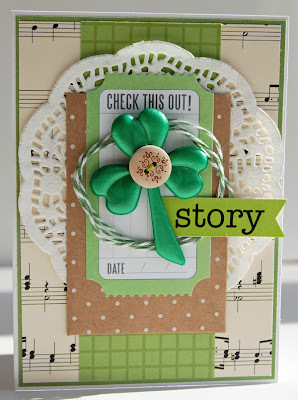 Very fun and Irish! Great idea to recycle cupcake picks--I hadn't thought of that! 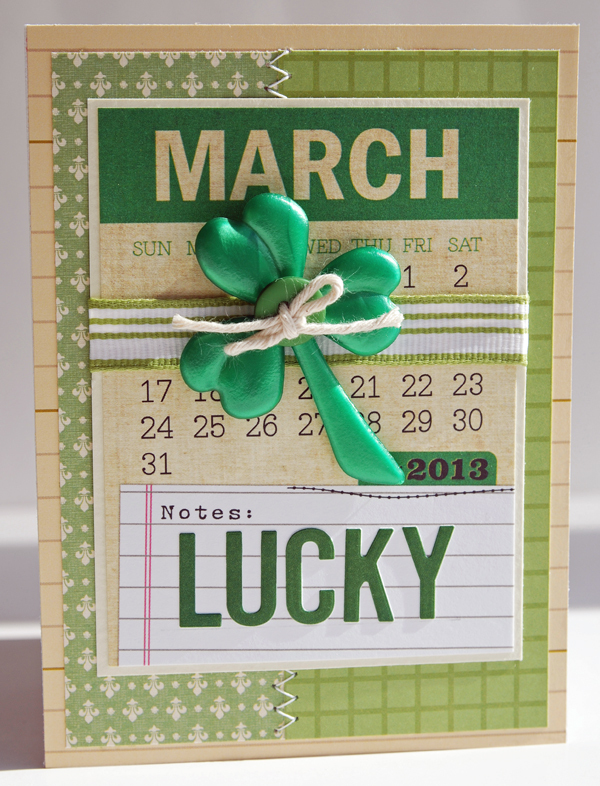 Glad you and your family had a nice St. Patrick's Day yesterday! Great cards. You do lovely work! Very fun cards. Love the button on the second one. Wonderful cards! 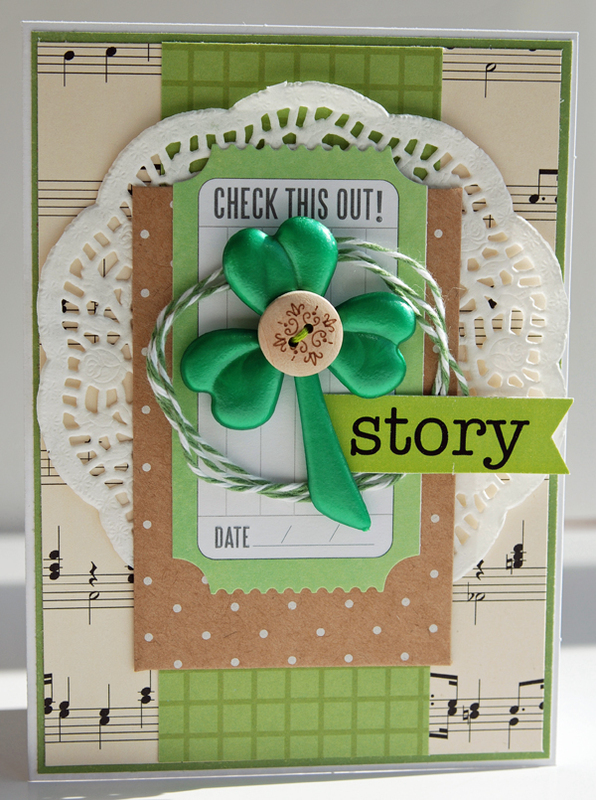 Those shamrocks are the perfect touch! Your cards are both adorable.